When we began homeschooling our kids, we thought we were protecting them from some of the issues kids face in public school. Like peer pressure, mean girls, self-image issues, and more. But the truth is, those issues still exist. Maybe not to the same degree, but they definitely exist. The world throws lies at our kids. On TV, movies, magazines, books, and social media are filled with these lies. While my kids are still in my home, I want them to know some important things. It's my job to make sure they understand truth, not the lies of the world. Teen girls deal daily with cliques, bullying, rejection, and social media nightmares. Author and blogger Kari Kampakis wants girls to know that they don’t have to compromise their integrity and future to find love, acceptance, and security. Kindness is more important than popularity. People peak at different times of life. Trust God’s plan for you. Get comfortable with being uncomfortable. Otherwise, you’ll never stick to your guns. Today’s choices set the stage for your reputation. You were born to fly. 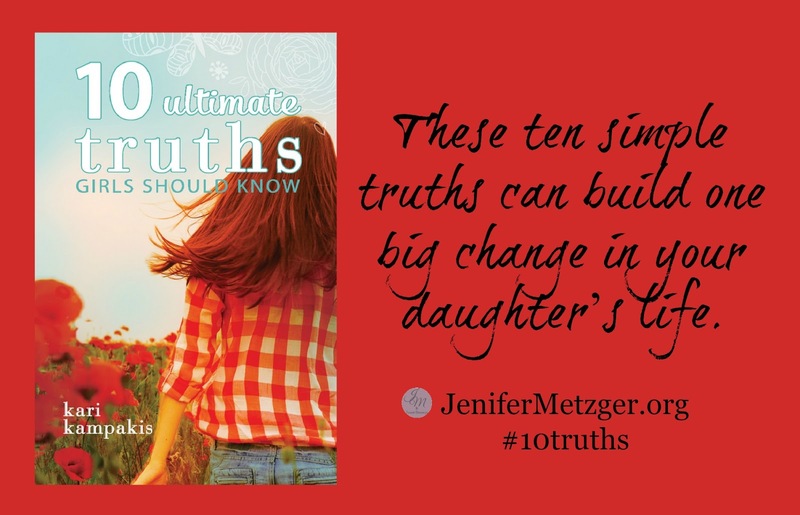 If you have a preteen, tween or teen girl, you need 10 Ultimate Truths Girls Should Know! Give your girl truth. Teach her that she doesn't have to bow down to what the world says. To enter to win a copy of 10 Ultimate Truths Girls Should Know, complete each task in the rafflecopter below.